First up all thank you very much for entering many recipe in my last month food event. All recipes are awesome. One other thing is... I am really happy to announce that I received my first Liebster Blog Award from Priyas Virundhu . I am very glad and thankful to Priya for sharing this award with me. 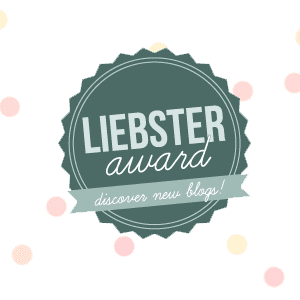 I found out that the Liebster Blog Award is given to upcoming bloggers who have less than 200 followers. Liebster is German and means sweetest, kindest, nicest, dearest, beloved, kind, pleasant, value, cute, endearing and welcome. 1.Write 11 facts about yourself. 2.Answer the 11 interview question you've been given by the person who nominated you. 4. Nominate 11 new bloggers who have less than 200 followers and mention them in your blog. 5. Tell the person who nominated you along with the people whom you have nominated. Now the hard part in receiving this award is to write about yourself. So it did take some time for me. 1. I love music, any kind just have lighen up my mind. 3. I like to make new friends. 4. I love to sketch . 5. I love to travel and explore about people and places. 6. I love to watch movies. 7. I am friendly and kind. 8. I love to play with my son. 9. I love to do pot painting. 10. I like to try new things in adventure, food, cloths etc. 2. What is the best food you ever had? 4. Which one would you prefer going for a picnic with your friends or relatives? Why? I prefer picnic with friends but don’t mind it with relatives, each is fun in a different way. 5. What is the most memorable moment in your life? When my son first said "mamma". 6. Which type of movie do you prefer realistic or fiction? 7. Which is your favorite holiday spot? 8. Where do you prefer to live a city or in a village? 9. What is one device you wish to be in your kitchen? Listening to music, painting browsing etc. 11. What is your dream in your life? Become an entrepreneur and simply experience the beauty and wonder of life the best I possibly can. I have the same 11 questions for you and share 11 random facts about you. Pass on this award to other bloggers and happy blogging. congrats and thank you for sharing the award. Thanks for stopping bye Amrutha! Thanks for the award as well. Happy to follow u dear! Thank you for passing on this award!! Your blog looks like a lovely space - I'd be glad to follow you! hi dear.. thank u so much for sharing this award. glad to follow u back..
Nice dear, It was nice to know a lot now about you. Thanks for nominating me...indeed a honor.